This is a course on the soils of the world and their assessment. It will provide an introduction to the soils of the world and their diversity, their main forming factors, classification (according to the World Reference Base for Soil Resources 2014, update 2015), and management. The course will include lectures, hands-on exercises and a field excursion in the area around Wageningen. Furthermore, a full day in the programme is dedicated to soil functions and regional planning as well as soil management strategies for soil conservation and optimisation of soil functions. 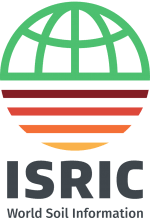 ISRIC Spring School is designed for soil and environmental scientists, students, experts and professionals in natural resources management. This course is 5 days long and run in parallel to the ‘Hands on Digital Soil Mapping’ (DSM) course.